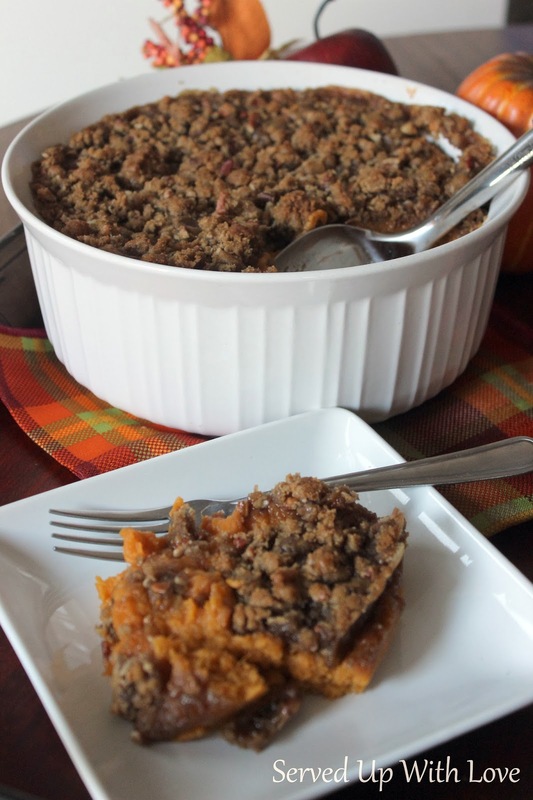 A few years ago my Dad requested a sweet potato casserole for our Thanksgiving dinner. I made this recipe and instantly fell in love. I think him and I ate the most of it that day. Recently we were lucky to have been given a few sweet potatoes from my son's girlfriends parents so I made these. I forgot just how good this recipe is. The perfect addition to your Thanksgiving table. Preheat oven to 325 degrees. Mix all ingredients together except for cream. Beat with electric mixer until smooth. Add cream, mix well. Pour into greased casserole dish. For topping: mix together with fork: sprinkle over top of casserole. Add topping to casserole. Bake for 25 to 30 minutes.